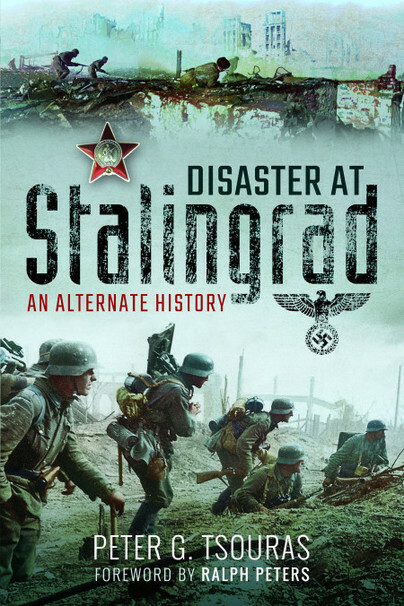 You'll be £11.99 closer to your next £10.00 credit when you purchase Disaster at Stalingrad. What's this? It is early September 1942 and the German commander of the Sixth Army, General Paulus, assisted by the Fourth Panzer Army, is poised to advance on the Russian city of Stalingrad. His primary mission was to take the city, crushing this crucial centre of communication and manufacturing, and to secure the valuable oil fields in the Caucasus. What happens next is well known to any student of modern history: a brutal war of attrition, characterised by fierce hand-to-hand combat, that lasted for nearly two years, and the eventual victory by a resolute Soviet Red Army. A ravaged German Army was pushed into full retreat. This was the first defeat of Hitler's territorial ambitions in Europe and a critical turning point of WWII. But the outcome could have been very different, as Peter Tsouras demonstrates in this thought-provoking and highly readable alternate history of the fateful battle. By introducing minor 'but realistic' adjustments, he presents a scenario in which the course of the battle runs quite differently, which in turn sets in motion new and unexpected possibilities for the outcome of the entire war. Cleverly conceived and expertly executed, this is alternate history at its best.